Anthony Kwame Appiah is a British-born Ghanaian-American philosopher, cultural theorist, and novelist whose interests include political and moral theory, the philosophy of language and mind, and African intellectual history. Appiah was the Laurance S. Rockefeller University Professor of Philosophy at Princeton University, before moving to New York University in 2014. He currently holds an appointment at the NYU Department of Philosophy and NYU School of Law. Mr. Appiah's works received multiple awards, including Herskovitz Prize for African Studies in English, Joseph B. and Toby Gittler Prize, Ralph J. Bunche Award and Anisfield-Wolf Book Award. Mr. Appiah himself was awarded the National Humanities Medal at a ceremony at the White House. Mr. Appiah was named by Foreign Policy magazine on its list of top global thinkers. 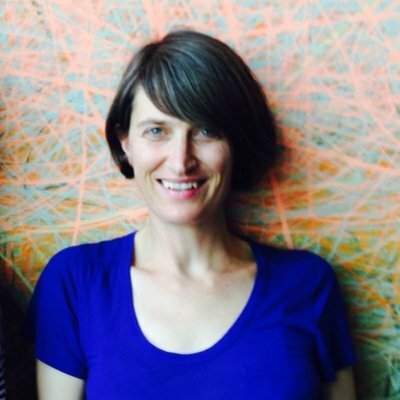 Kate is the founder and Director of Development of Ideation Worldwide. Before founding Ideation, Kate worked on partnership, development and communications for several NGOs in three continents. Her work includes engaging private sector on global health challenges at UN Foundation, and empowering social enterprises of farmers in northern Thailand at Mae Fah Luang Foundation. Kate is also a founder of Care For All Kids, a non-profit teacher training program in informal settlements in Nairobi, Kenya. She has been a guest speaker at University of Toronto Refugee Forum. Kate holds a BA in philosophy at NYU and is an MPA candidate at NYU school of public policy. Christina is the founder and Program Director of Ideation Worldwide, leading the refugee program in Kenya and IDeA architecture competition. On top of being the founder of Ideation, Christina also works for SAVIC – a refugee led NGO focused on education in Kakuma refugee camp, and is the co-founder of SAVIC learning center with Ivan Wang. Christina is interested in finding the intersections between architecture, design, and humanitarian and development fields. She has spoken of her experience in Kakuma refugee camp at various events, including Mellon Forum at Yale University. Christina is a fourth year student at Yale University, studying Architecture. Kaja Kühl, Dipl.Ing, AICP, is the founder of youarethecity: a research, design and planning practice interested in creating dialogue about the urban environment. Kaja received her Diploma in Architecture from the University in Karlsruhe, Germany and a Master of Science in Urban Planning from Columbia University in New York. Prior to founding youarethecity in 2008, she worked for the New York City Department of City Planning as an Urban Designer and team leader where she was responsible for design guidance and development of public policy for several private rezoning applications and city initiatives. Philipp Charwath is currently Deputy Permanent Representative at Permanent Mission of Austria to the UN, New York. Mr. Charwarth has over 10 years of experience working in diplomacy and international relations. He previously held positions as Premier Conseiller of the Austrian Embassy in Dakar, Senegal and later as Deputy Head of Office of the Secretary-General at the Austrian Federal Ministry for Europe, Integration and Foreign Affairs. Earlier this year, Mr. Charwarth was also selected as the chairperson of 55th session of the United Nation's Commission for Social Development, leading the expert group meeting under the topic: “Strategies for eradicating poverty to achieve sustainable development for all”. Fabiene Bartoli is currently serving as advisor to the Permanent Mission of France to the United Nations. Ms. Bartoli previously worked in the Directorate-General for the Treasury and Economic Policy, and then as technical advisor for the Health Industries of the Ministry of Solidarity and Health. Later, she took the position of technical advisor for health products policy and later, General Inspectorate of Social Affairs. Ms. Bartoli was also former deputy director general of the Afssaps (French Health Products Safety Agency). Tim Mawe has decades of experience working in foreign policy for Ireland and internationally. He has been Deputy Head of Mission for the Embassy of Ireland in Japan, and the Ambassador of Ireland in Latvia. Before taking position at the Irish Mission to the UN, Mr. Mawe worked at Ireland’s Department of Foreign Affairs and Trade, as a Finance Officer. Damaso Reyes hold a wealth of experience in international affairs and journalism, especially in immigration, political transitions, and relationships between cultures. He was previously the Southeast Asia Bureau Chief for New York Amsterdam News, located in Indonesia. Damaso is also the principal photographer of The Europeans, a long term photographic documentary project examining the changes that Europe and its people are experiencing as the European Union expands and integrates. His images and articles have appeared in publications, including The Wall Street Journal, The New York Daily News, World Policy Journal, Der Spiegel and Time Asia. He has done projects in countries such as Rwanda, Iraq, Cuba, Indonesia, Tanzania and throughout the United States and Europe. His photography has been exhibited throughout the United States and internationally in Germany, Austria and Syria. Reyes is a member of the National Association of Black Journalists. Mr. Reyes is the recipient of several awards and fellowships including an Arthur F. Burns Fellowship and Ford Foundation Media and Journalism fellowship. Nora Akawi Nora is an architect based between Amman and New York. As Director of Columbia GSAPP's Studio-X Amman, she leads the conceptualization and implementation of public programs and research initiatives on architecture in the Arab region by curating (often in partnership with other researchers or institutions) conferences, workshops, publications, screenings, lectures, and other forms of collective cultural production. Since 2014, she has been teaching a graduate history/theory and visualization course focused on borderlands, forced migration, and human rights at Columbia GSAPP. She also joined the Architecture & Urban Design faculty, where she teaches an urban design studio focused on water infrastructure and distribution inequality along the Jordan Valley. First Secretary to The Permanent Mission of the Hashemite Kingdom of Jordan to the United Nations. Samar Sukkar has more than 15 years of experience in diplomacy, serving as a diplomat at the Jordan Embassy in Tokyo, Japan and later at the Ministry of Foreign Affairs. Late last year, Ms. Sukkar joined and spoke at the 3rd Committee (Social, Humanitarian, Cultural) to advocate for gender equality in politics and economy at the 72nd United Nations General Assembly. Filiep Decorte is currently the Deputy Director of New York Liaison Office of UN-Habitat. He was formerly Chief Technical Advisor on UN Habitat's urbanisation, urban resilience and urban crisis. During his career, Filiep has predominantly focused on urban initiatives in conflict- and crisis-affected countries, specializing in urban planning, land, and housing issues. He has worked for UN-Habitat for more than fifteen years in different capacities, including long-term assignments in Haiti, the occupied Palestinian territory, Somalia, and Morocco. He also acted as coordinator for UN-Habitat’s Global Disaster Management Program. He was trained as a civil engineer, architect, and urban and regional planner with advanced master’s degrees from the Universities of Ghent and Leuven in Belgium. Mr. El Nour illustrious career in international development include work in CARE International, UNDP Bureau for Crisis Prevention and Recovery, and with IOM in various offices and positions. These include IOM offices in Northern Iraq, Mozambique, and Geneva – and positions of Regional Adviser for Africa and the Middle East, Regional Representative for East and Central Africa, and Regional Director for East and Horn of Africa. When IOM entered United Nations officially as a related agency last year, Mr. El Nour has been chosen as the first ever IOM permanent representative to the United Nations. Late last year, Mr. El Nour spoke at the Security Council to advocate for elimination of crisis-induced human trafficking. Kim Bode is the community editor of Syria Deeply and Refugees Deeply, working at the intersection of strategy, editorial and product. Born and raised in Berlin, Germany, she was previously a Wall Street correspondent for the Financial Times Deutschland, Die Zeit, NZZ am Sonntag and der Freitag. Muzabel is a Congolese exiled to Kenya, where he has been living since 2010. Muzabel founded Solidarity & Advocacy with Vulnerable Individuals in Crisis (SAVIC) in 2010 with a group of young people in Kakuma Refugee Camp. As a young man growing in the war-torn DR Congo, Muzabel was subjected to very harsh realities of life. He was tortured several times for his refusal to be connected to any militia in his hometown. He has spent almost his entire life either in internal displacement or as a refugee. His work among refugees in Kakuma has been instrumental in promoting education, helping create greater spaces for integration of girls in education, promoting socio-economic self-reliance and reducing unintended pregnancies among young refugees. Muzabel is recently admitted to Georgetown University's Global Human Development. 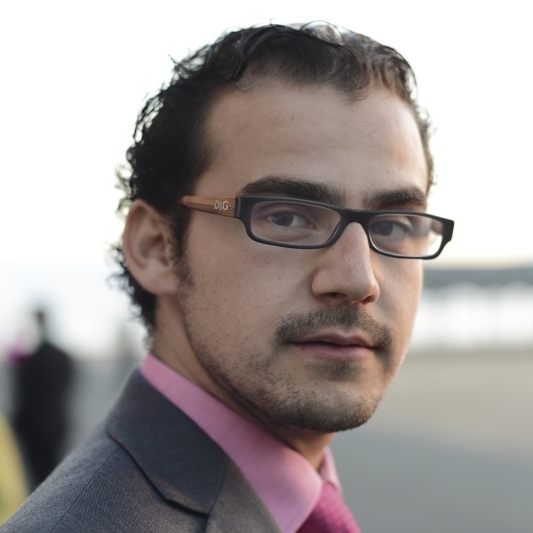 Hadi Gharabaghi is a PhD Candidate in the Department of Cinema Studies at New York University. He is completing a dissertation that investigates how a Cold War-driven American investment in nation-building via audio-visual cultures in the course of a top-down modernization in Iran and the region during the 1950s and 60s has, in turn, given rise to generations of refugee life that ironically destabilize national belonging and legitimacy at first place. Hadi's research topic is very much influenced by his experience of Iranian Revolution of 1979 at the age of eleven, growing up in post-revolutionary Iran as a religious and ethnic minority, three years of refugee life in Pakistan during the mid 1990s and a post-refugee minority life in the United States since 1997. Apart from completing an archival genealogy on the institutionalization of Iranian documentary by a binational government planning and the labor of American cultural foot soldiers and their contracted universities, Hadi has also organized events on media governance and the history and transformation of Iranian documentary at New York University in New York City and Bogaziçi University in Istanbul. In his academic presentations, Hadi has often examined breaking points in relations of cultural diplomacy through publicizing of declassified memos and their associative bureaucratic life world. Will Kneerim is the Director of Employment & Education Services Integrated Refugee & Immigrant Services (IRIS). Will directs employment, education and ESOL programs for a non-profit organization that resettles more than 200 refugees in the New Haven, CT area annually as well as oversees staff, interns and volunteers as well as classes and programs that promote workforce preparation and education. Will develops direct executive level relationships with large and small area employers and works with United Nations, NGO's, universities, business groups, other NPO's and Federal, State and Municipal Government branches for tracking and program development. Erinn McGurn is the Co-Founder and Executive Director of SCALEAfrica, a non-profit organization directly addressing the growing need for access to education, responsible shelter, clean water, and sanitation by working within rural African communities that need design services the most. Erinn is also a licensed architect and Owner/Principal of SCALEStudio in New York City. Erinn was a 2014 recipient of Architectural Record's inaugural Women In Architecture Award, honoring an architect who has used her skills to design for social change, effect the public realm or perform pro bono work. Nabeel Hamdi qualified as an architect at the Architectural Association in London 1968. He worked for the Greater London Council between 1969 and 1978, where his award-winning housing projects established his reputation in participatory design and planning. He held position as Ford International Career Development Professor of Housing at the Massachusetts Institute of Technology (MIT). He is widely acknowledged as an expert in participatory planning and has worked on development projects all over the world. He is the author of Small Change and The Placemaker’s Guide to Building Community. Among his many honours in international development are the UN-Habitat Scroll of Honour for his work on Community Action Planning, and the Queen’s Anniversary Prize for Higher and Further Education. Sergio Palleroni is internationally known for his social and environmental activism, providing with his students and collaborators sustainable design solutions to communities in need. Since 2013 he has been Director of the Center for Public Interest Design, the first such design research center in the US, whose mission is, in the words of its mission statement, "To investigate and promote design practices that are a catalyst for the social, economic and environmental change needed to serve the growing needs of communities both locally and worldwide."